*Please note: Class descriptions are listed alphabetically by medium category. In the Clay for Kids class 7 – 12 year old participants will focus on hand-building ceramic cups and bowls. Class will also cover color theory and glazing techniques. Students will create unique forms and then decorate them with colorful underglaze. Projects will include making cups and bowls and learning how to glaze and fire clay. Class fee includes, clay, glazes, bisque and glaze firings. In the Introduction to Drawing class students will explore basic drawing techniques with the goal of being able to draw from life. Lessons will include contour drawing, shading, and texture using drawing pencils and paper. Class will include the study of artwork from famous artists to understand how the lesson relates to the skill of learning to draw from life. Learn all the key elements necessary to create believable fantasy animals from literature and your own imagination. Taught by industry professional Jean-Baptiste Chuat, this six week class will focus on understanding shapes and basic anatomy of your favorite animals and creatively combine them using pencil and paper. We will explore drawing and shading techniques, learn about the importance of character and story, and exercise strategic design methods as we build up your personal fantasy sketchbook for your own design portfolio, game-, film- or book project. Come and explore more creative design processes while improving your drawing skills in the follow up to the ‘Fantastic Beast and how to Draw them’. Taking what we know about animal anatomy and observation in nature, this class will focus on creative ways to playfully combine existing animals while discovering new forms, stories and creatures. Instruction will include building a variety of animals in detail, basic perspective, and drawing creatures in motion so they become alive in the mind of your audience! Make and embellish your own unique felted jewelry and accessories. 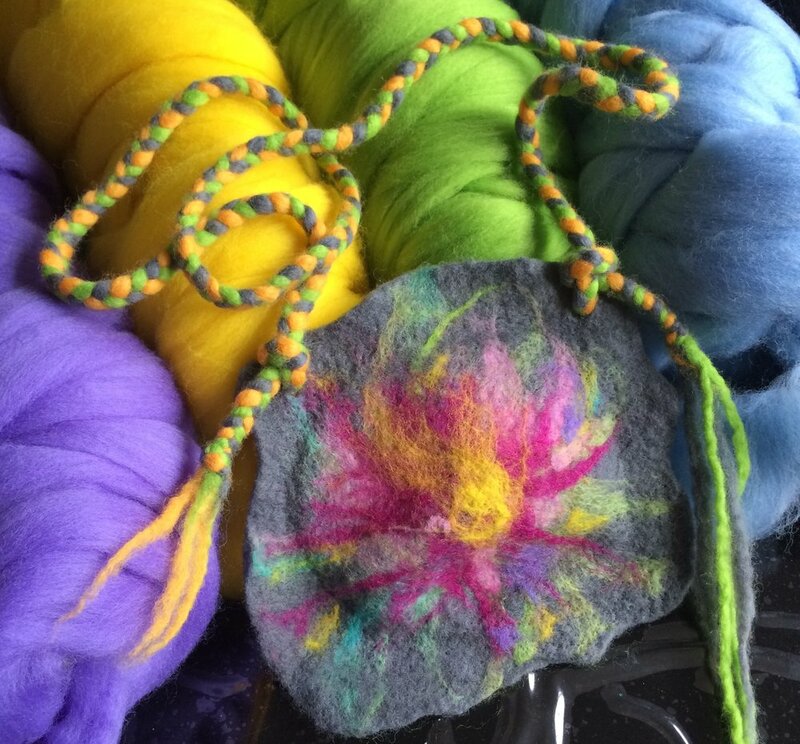 Students will be invited to play with their own design ideas, guided by the instructor to apply various felting techniques and approaches to explore the jewelry making process. Create a wool bracelet or necklace or wearable art of your choosing. All basic materials included but please bring an old tea towel or bath towel. This is an introductory color theory course using acrylic paint for teens 12+. Students will explore basic ideas of color theory with the goal of increasing knowledge and skill with mixing colors and creating dynamic compositions. Class lessons will include the study artwork from famous artists to understand how the lesson relates to color theory and a painting practice. (Kids ages 7 -12) This children's class is designed to encourage creative thinking behind the lens while learning the disciplines that will follow a child's successful photographic journey. Classes will include games, challenges and props to learn the basic principles that are common to all photographic practices. Students should bring a phone or a point-and-shoot digital camera to class.